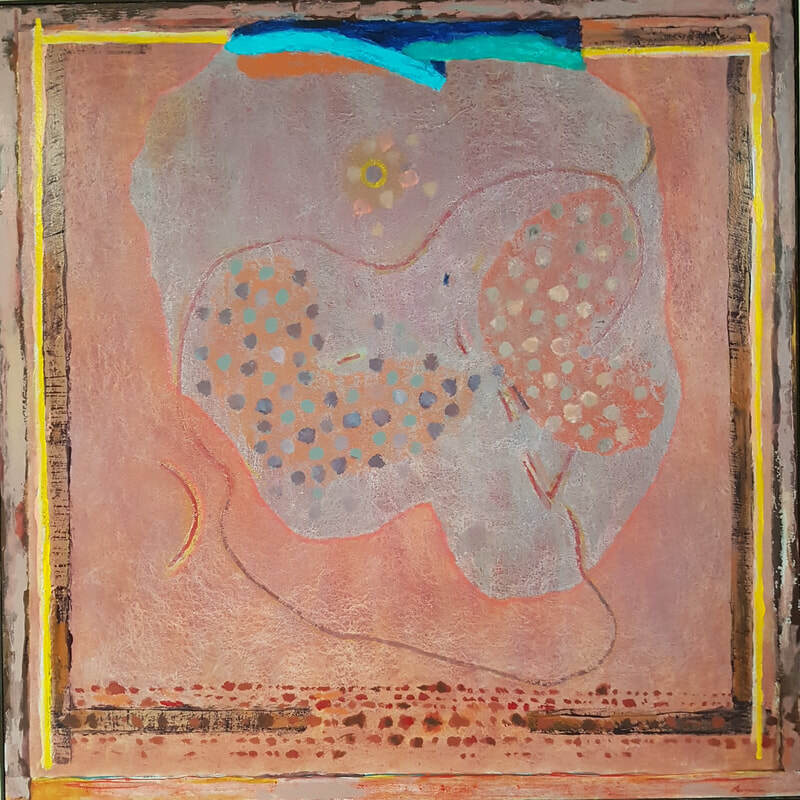 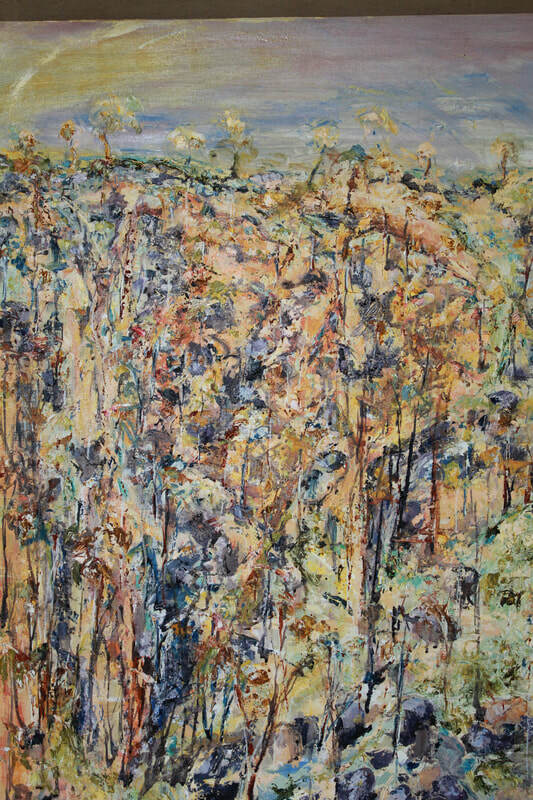 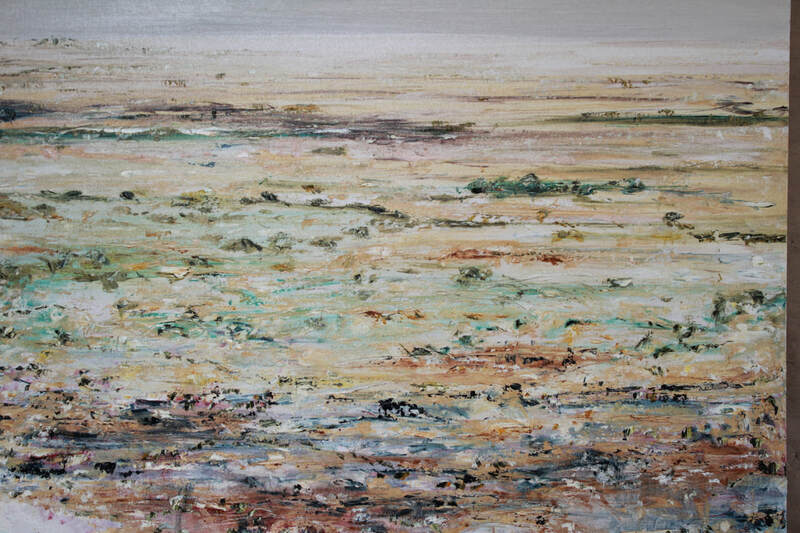 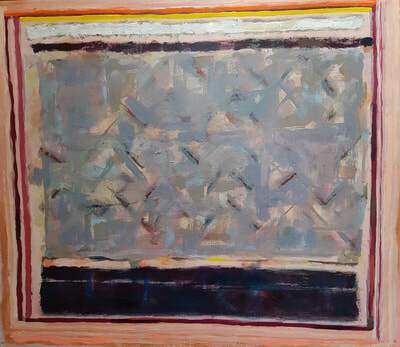 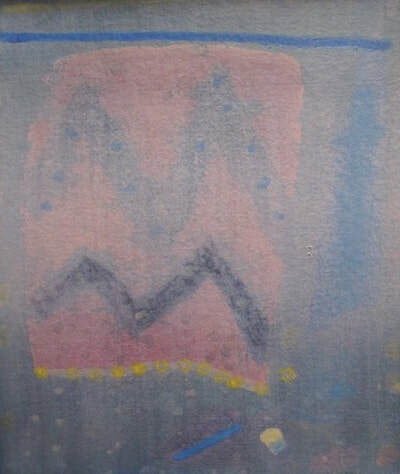 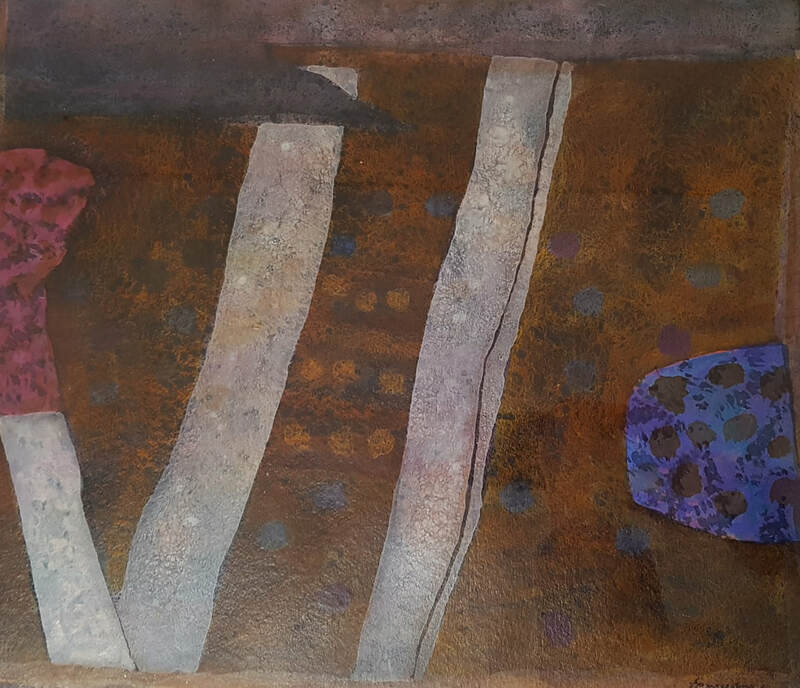 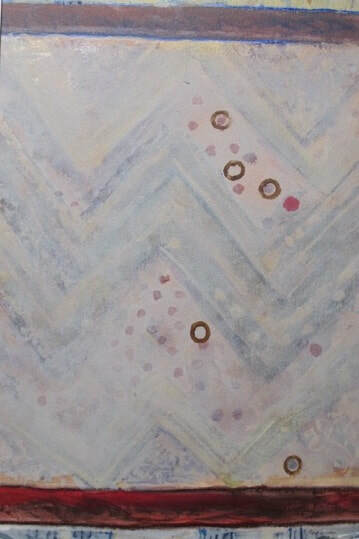 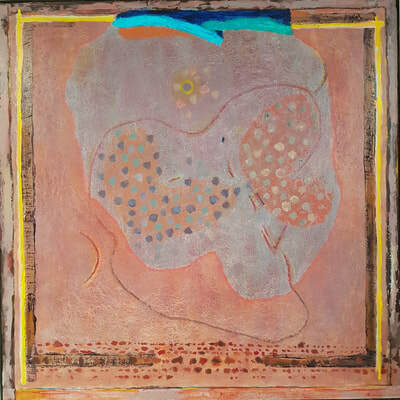 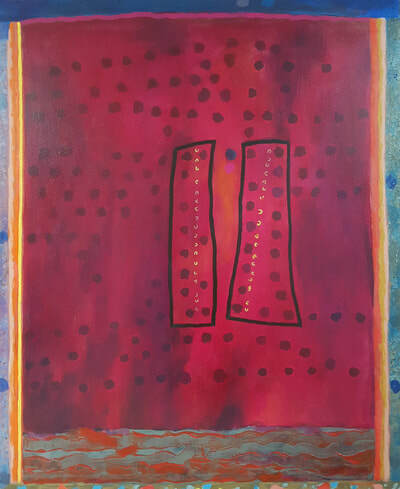 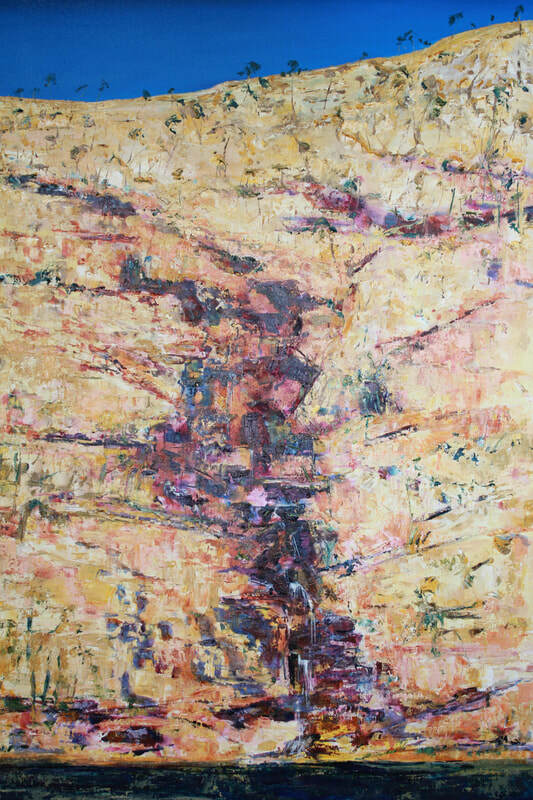 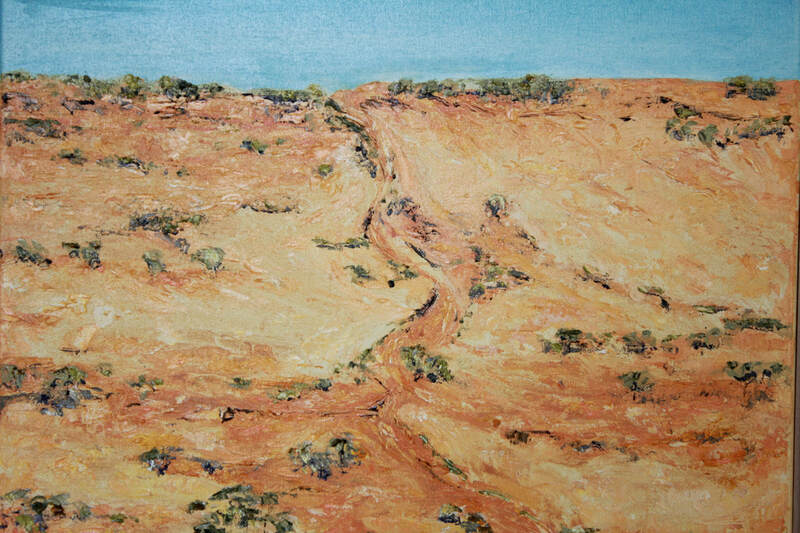 ​Painting for me celebrates the Australian Landscape and early culture, providing a spiritual stimuli within which I am concerned with interpreting values in subjective expressions – the inner life or spirit - rather than describing facts. 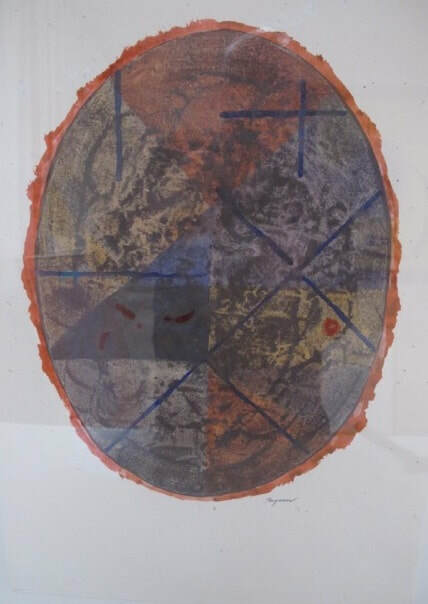 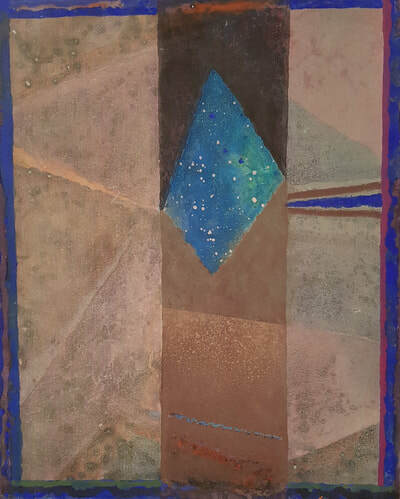 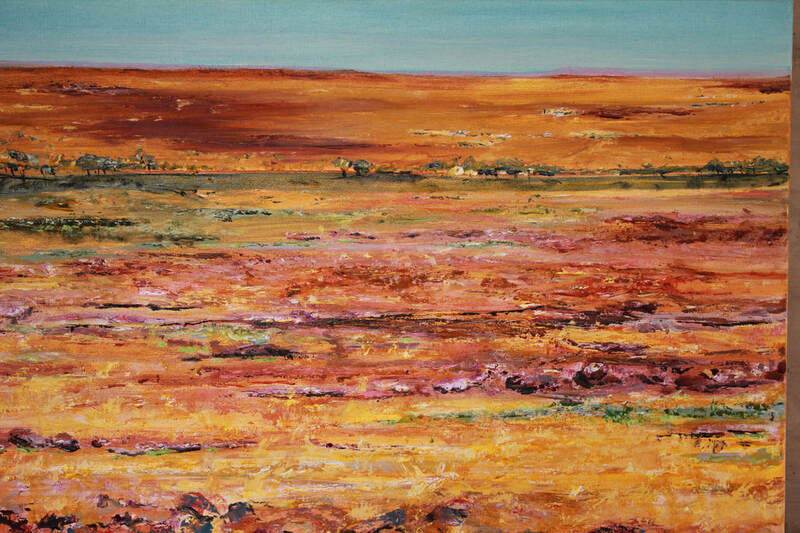 In my paintings, I wish to project a profound aura of silence, optimism, surprise, joy and above all a deep love that reflects the mystery and spiritual resonances linked with my past personal interaction with the First People and their land. The focus of my creative expression is the Australian Landscape. The rich, vastness of the bush has been engaging to me since I was a child. 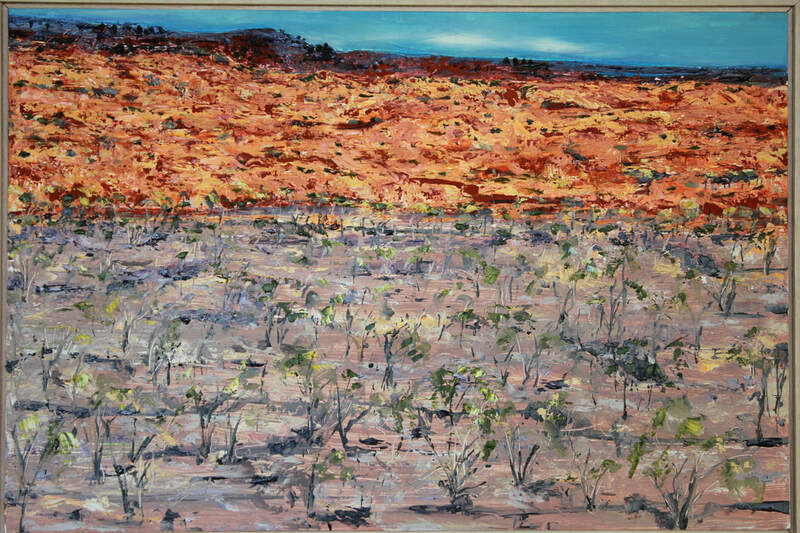 Four decades ago I visited Central Australia and was left breathless by its grandeur; and it took some years to understand my place within it. 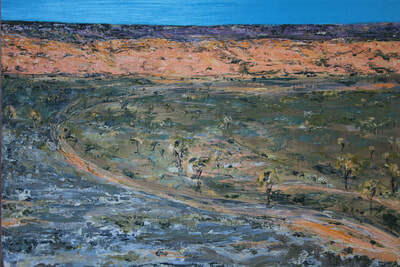 Whilst difficult for me to define in words, I feel that my place is one of a respectful visitor. I observe its arid harshness and whimsical gentleness. 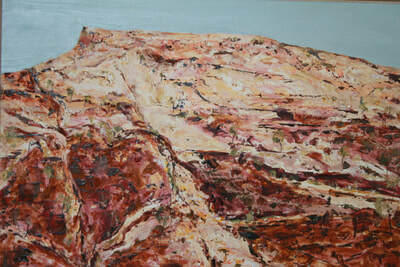 I feel its textures and smell its scent of rock and dust and vegetation. 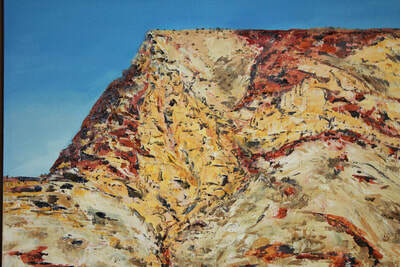 I look at its enormity and then see its fragility. 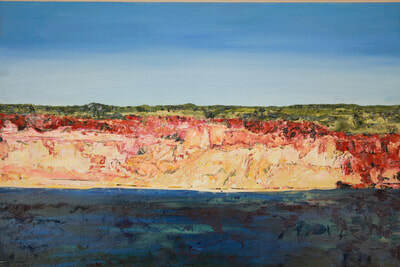 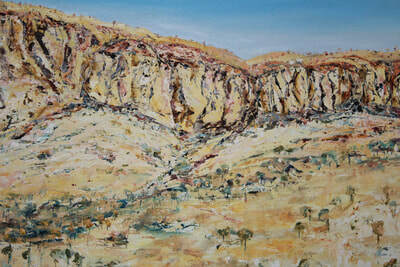 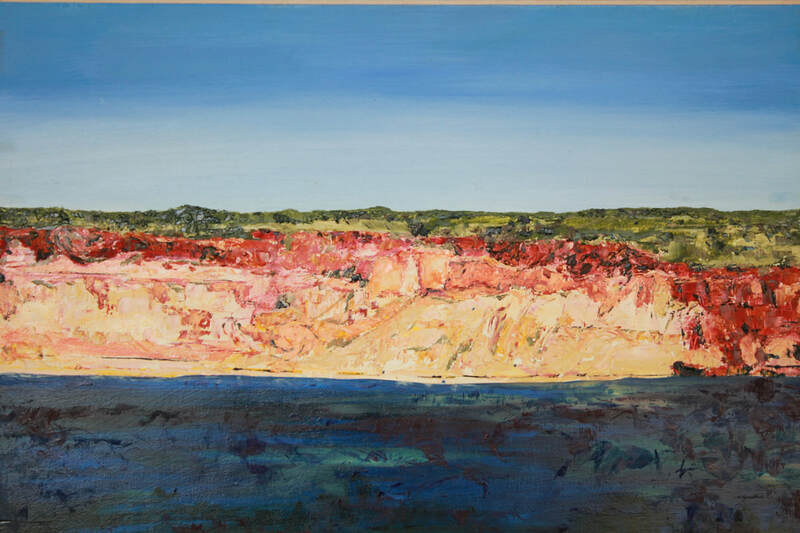 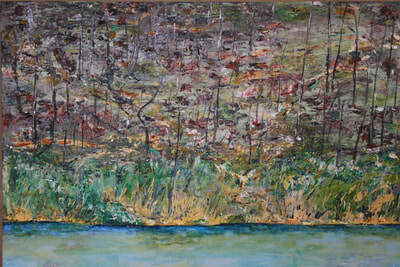 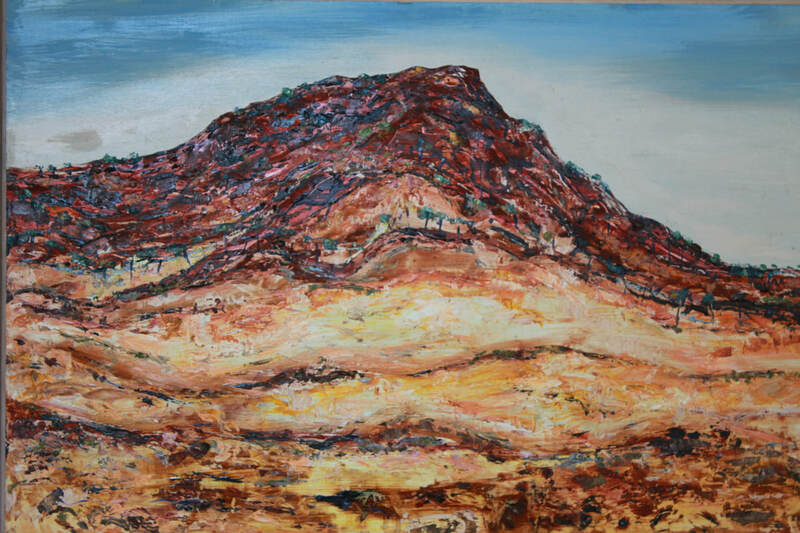 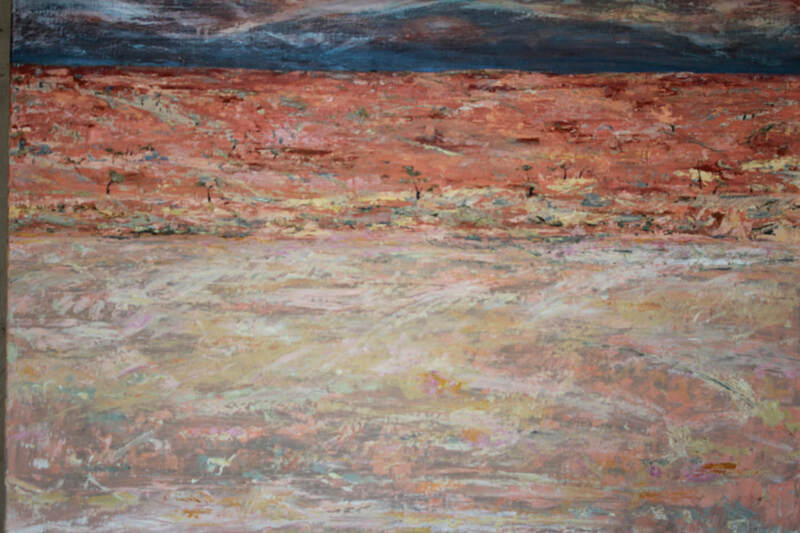 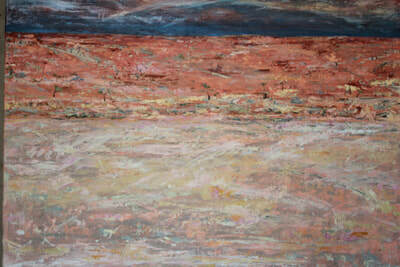 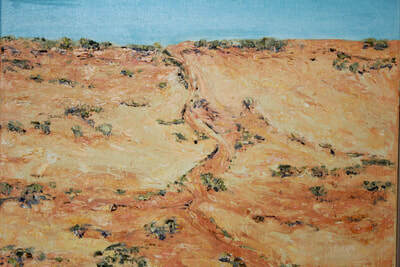 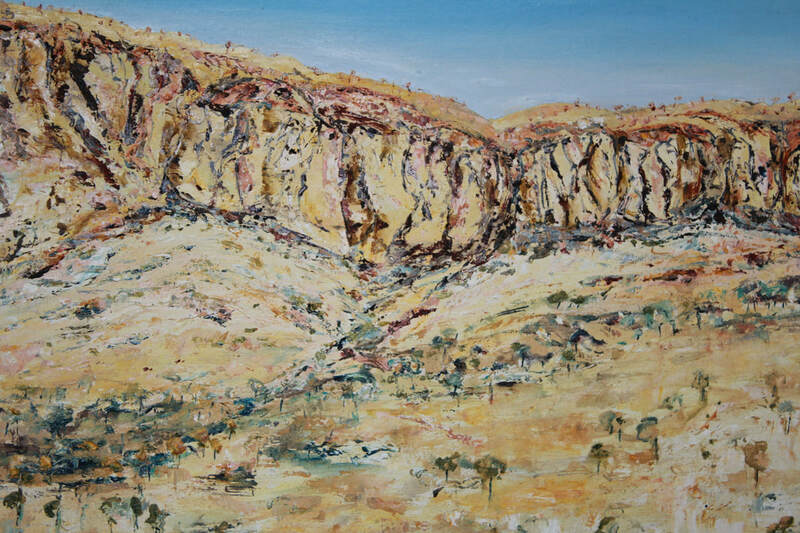 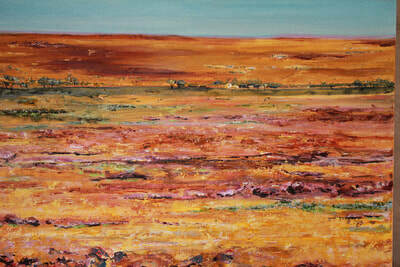 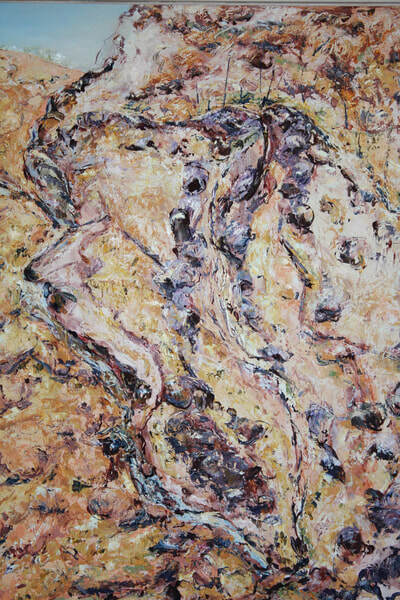 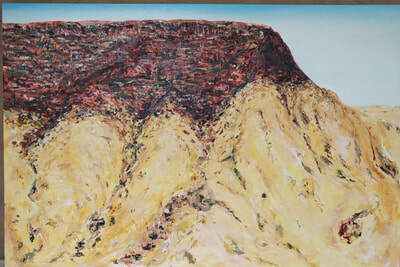 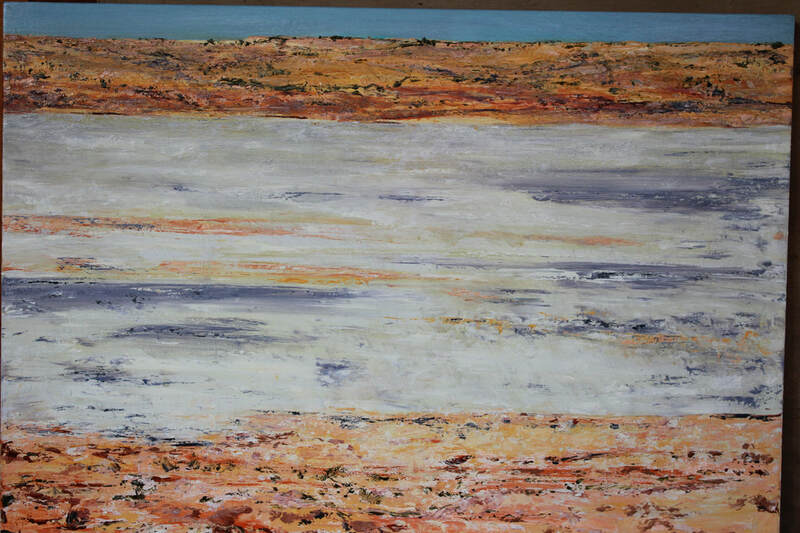 As a regular visitor to the Outback, my paintings all begin in the landscape and many are completed there. My works produced on location are normally on wood panel supports as they are more robust in the often rough outback travelling conditions. 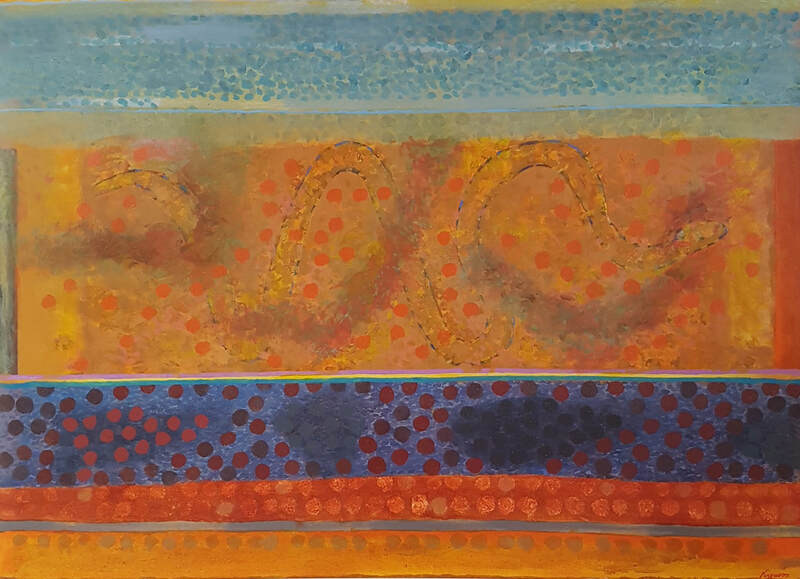 I also produce recorded material in the form of sketches and photographs; this supports work that may be continued in the studio. Often the formality of producing my response to the landscape gives way to an abstract exploration of colour and texture. 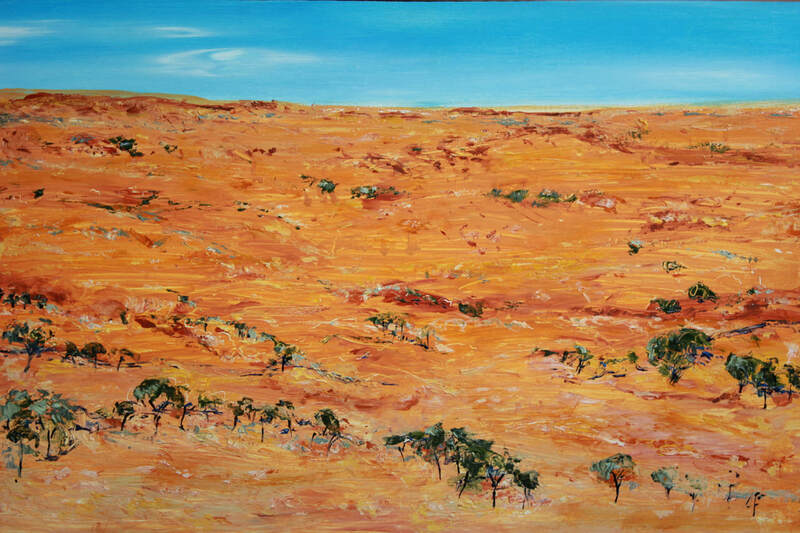 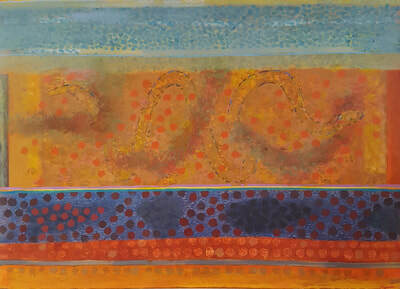 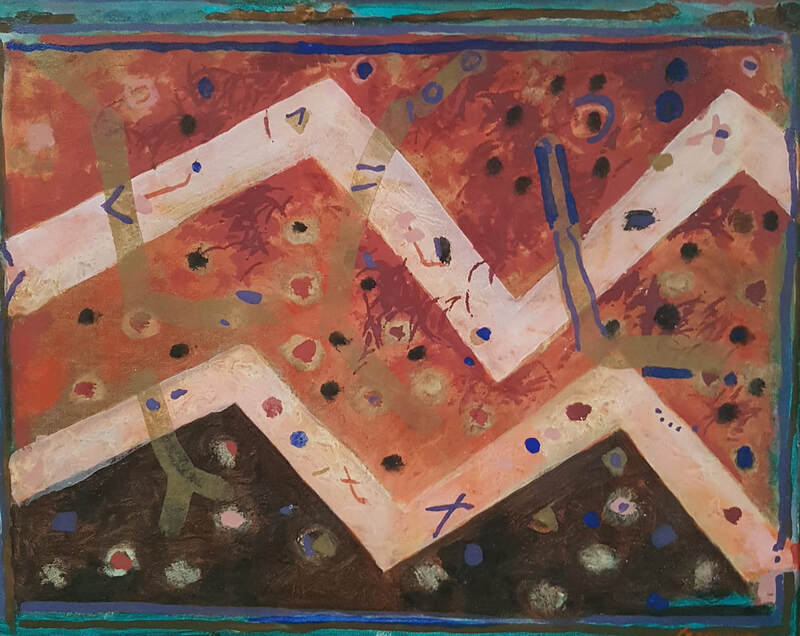 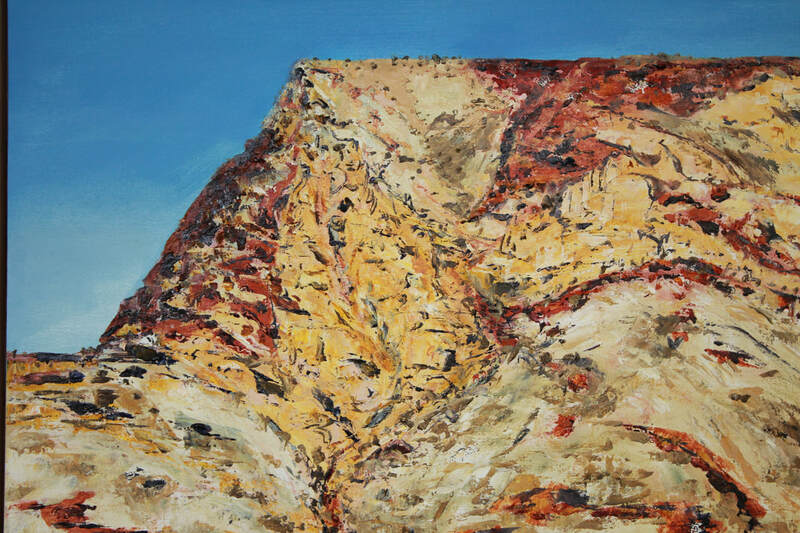 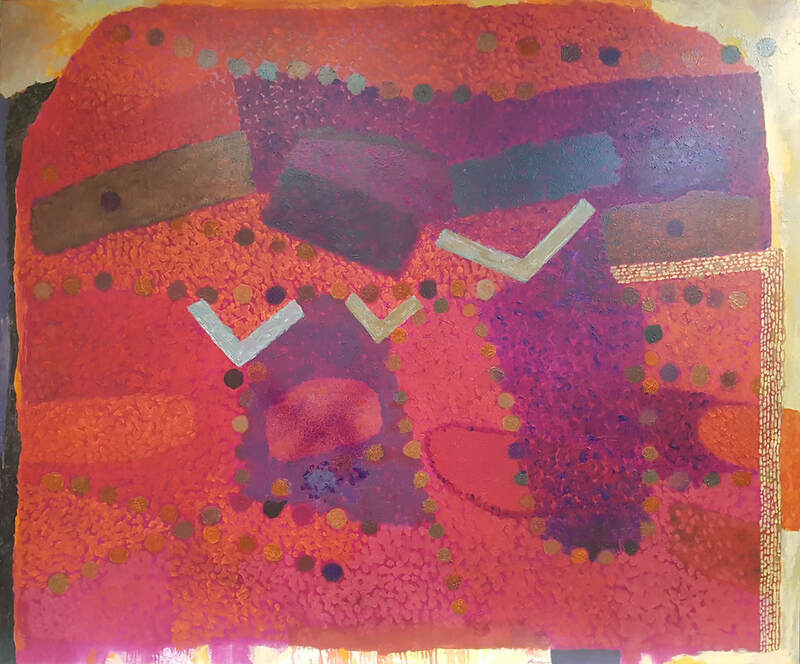 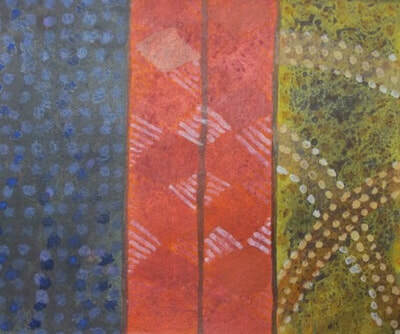 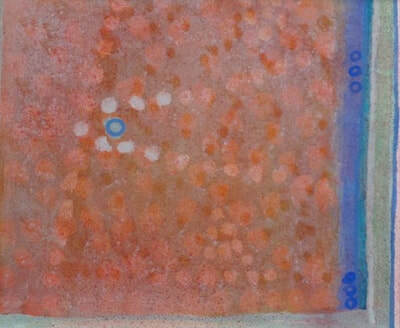 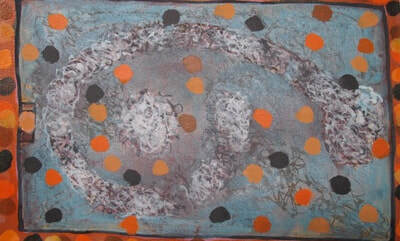 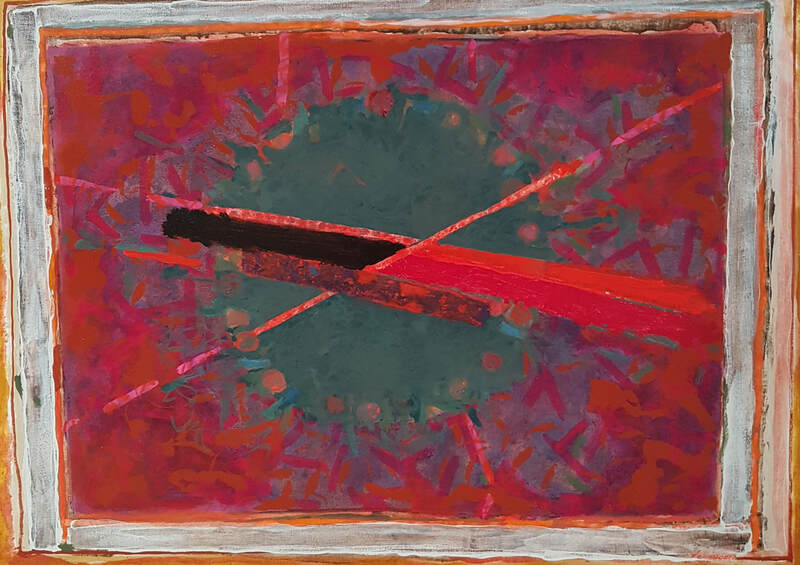 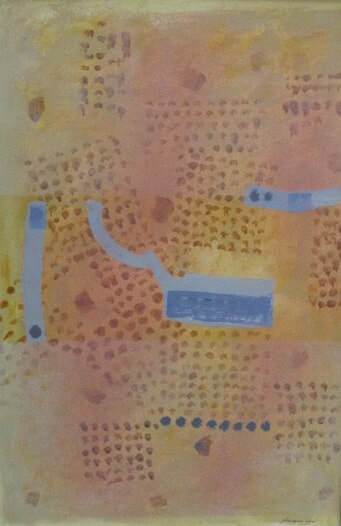 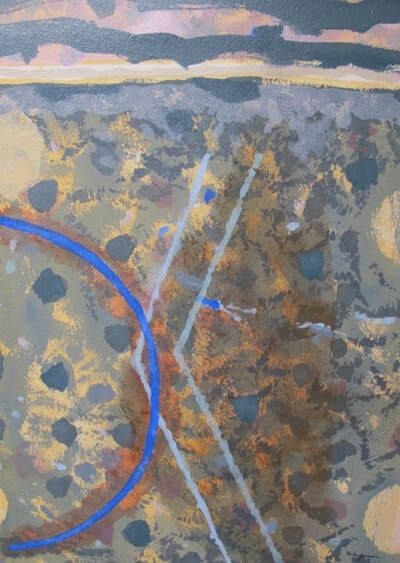 This exhibition comprises paintings from North Central Victoria, the Simpson Desert, and the Kimberly. 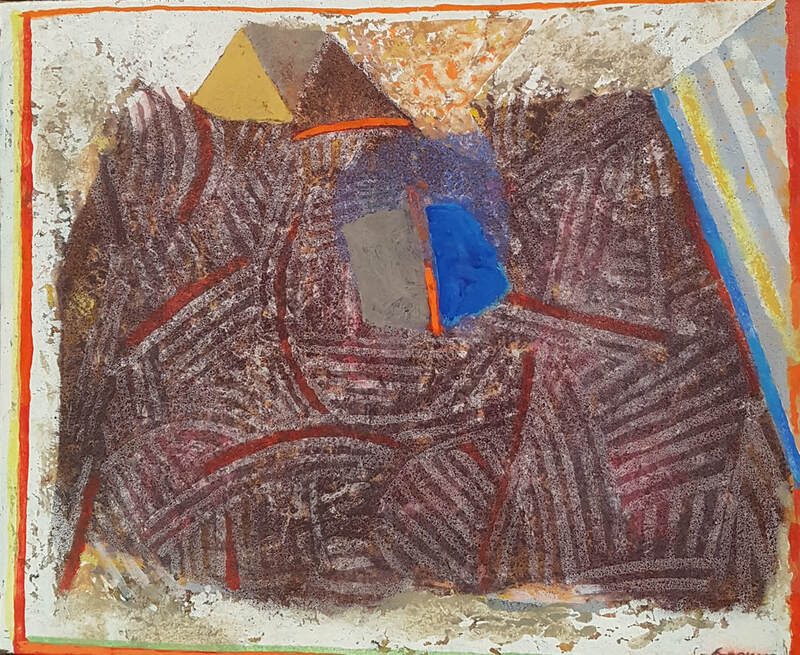 Whilst attempting to reveal essential form in the subject matter, I try to explore the subtle interconnections of the layers of colour and texture. 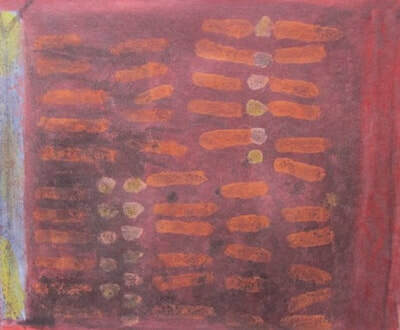 Representational colour has at times been sacrificed for the use of colour as an evocative vehicle. 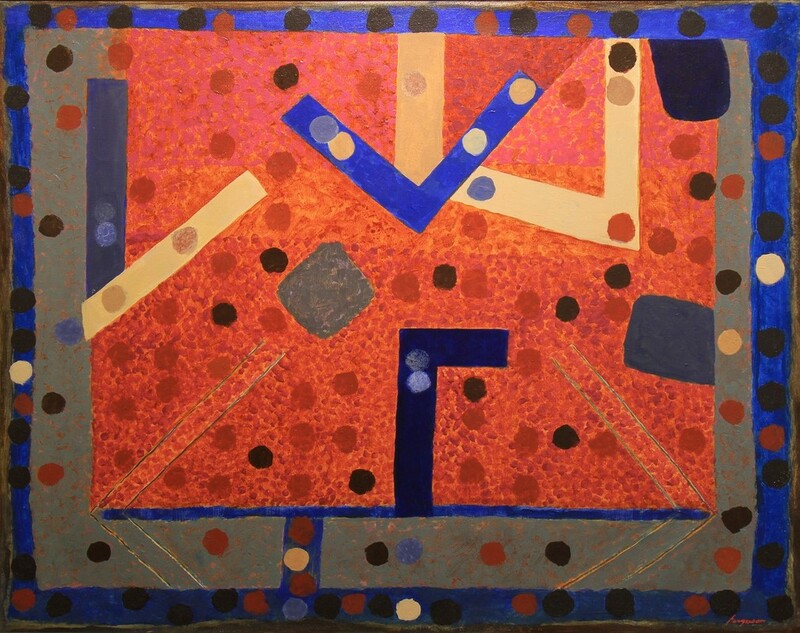 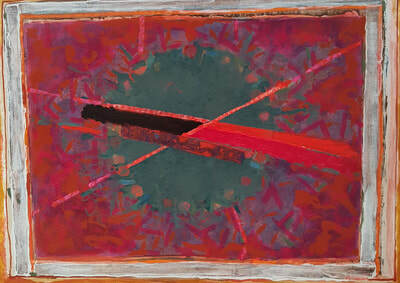 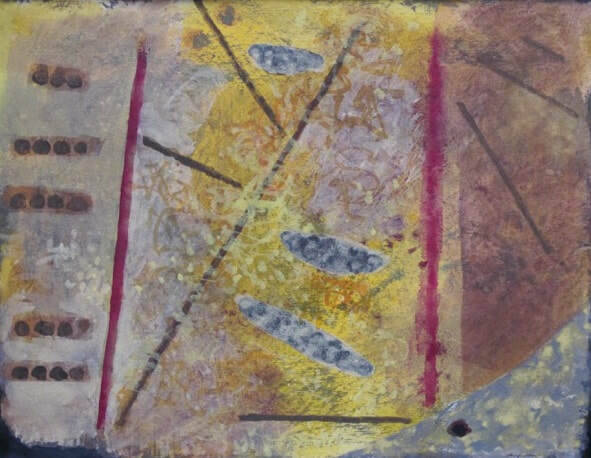 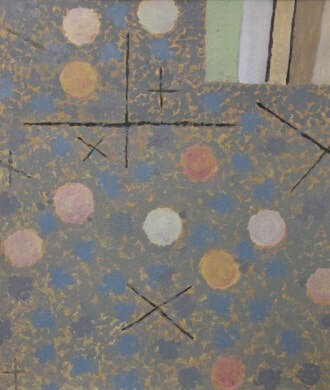 This contributes to the painting developing a life of its own. 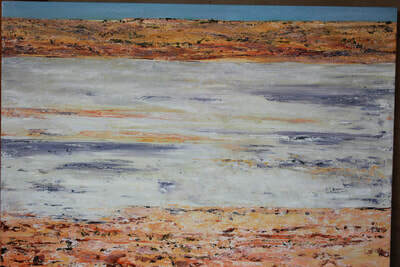 The natural environment never disappears from my paintings ------ but I must admit that at times the joy of painting does become the focus of my expression.